Ingredients: USDA Certified Organic Jojoba, purified water and ozone-oxygen. 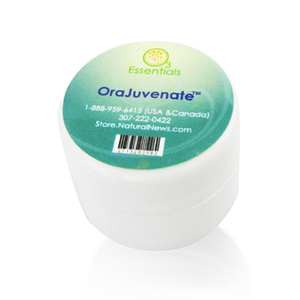 Suggested Use: O3 Essentials OraJuvenate™ is a powerful cleansing dental cream infused with ozone-oxygen for maximum, oral-dental care. Brush, floss, then apply directly and massage into gums or as recommended by your dental health professional. For sensitive skin test a small area first. Not intended to be ingested. Storing: O3 Essentials Jojoba has a stable shelf life. As an ester, it does not contain oil and does not go rancid. No animal testing. No preservatives or coloring. Copyright © 2013 O3Essentials.com All Rights Reserved.